For sale by owner also called a FSBO is selling a home without the assistance of a real estate agent or broker. Although real estate brokers cannot practice law, they are experienced in using standard contracts that are prepared by attorneys to avoid most legal issues. 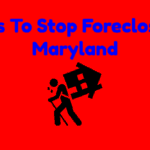 By not using a broker you are risking not complying with Maryland law in your real estate transaction. On the other hand, brokers essentially provide home selling services so it does not make sense to hire one if you have already procured a buyer. 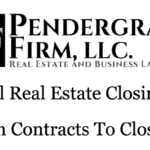 The Pendergraft Firm can help you save thousands of dollars in real estate commissions by drafting your for sale by owner contracts for the purchase and sale of your property. 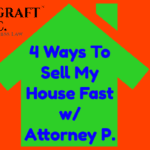 The simplest agreement TPF can help prepare is for an all cash offer. An all cash offer is exactly what it sounds like, it is a straight sale of the home for the entire amount of hte contract. Owner financing (also called seller financing) is when the seller agrees to hold the note and the buyer makes payments to the seller. In an owner financing deal the seller essentially becomes the lender. A “wraparound” is a transaction where the buyer makes payments towards the seller, and the seller pays an existing mortgage. TPF can help you draft for sale by owner contracts for simple owner financing deals or wraparound mortgages. 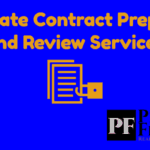 TPF also prepares FSBO contracts for creative real estate deals that are not all cash offers or owner financing, they are somewhere in between. These are deals such as lease with option to buy or rent to own transactions. 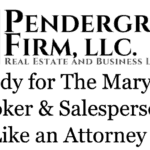 TPF is here to make sure your deals comply with MD law. 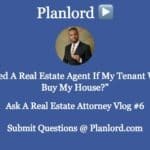 Need a Real Estate Contract for your next FSBO?